From cakes to Continental cuisine, Ken Bourgoin has led a delicious life. Now he’s sharing his secret sauce with a new generation of culinary students. 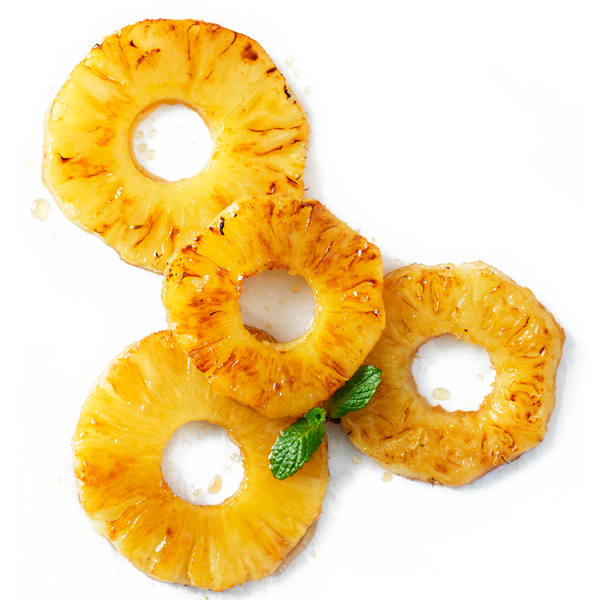 It all started with pineapple upside-down cake. That deliciously caramelized-topped cake, a buttery, brown sugar concoction, cooked by then 12-year old Ken Bourgoin was his first attempt at baking. So when his parents took his cake to a dance party—they loved ballroom dancing, square dancing and round dancing—they returned home with rave reviews of his cake. And that’s when Ken Bourgoin discovered the power and pleasure of baking. So Bourgoin, the son of two French Canadians living in Goffstown, N.H., poured himself into baking, earning a prize in a Boy Scout baking contest for “most original cake”—a baboon dressed in a Scout uniform. In high school, Bourgoin started baking cakes for school fundraisers. Although his father tried to discourage him from pursuing a career as a chef—it’s all “nights and weekends and holidays,” his dad said—Bourgoin was determined. At Southern New Hampshire University, he majored in culinary arts and soon took a part-time job at nearby St. Anslem’s College, where he worked with Jerry Foster, a pastry chef and “the nicest chef in the kitchen.” Foster “would make cakes the size of an office” and the cakes were often cartoonish—the creations of a man who loved his work. At this point, Bourgoin was leaning toward a career as a pastry chef. But at Southern New Hampshire University, culinary students didn’t have that option. 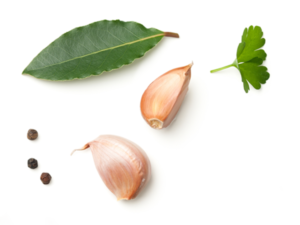 So he continued learning at different jobs; at a high-end country club in Manchester, N.H. and then at a small fine-dining restaurant that specialized in Austrian continental cuisine, where he started as a sous chef and eventually became the executive chef. And he vowed to learn as much as he could from anyone he came in contact with. Chef Ken demonstrates knife skills. Chef Ken prepares bananas foster. Culinary students sample bananas foster. 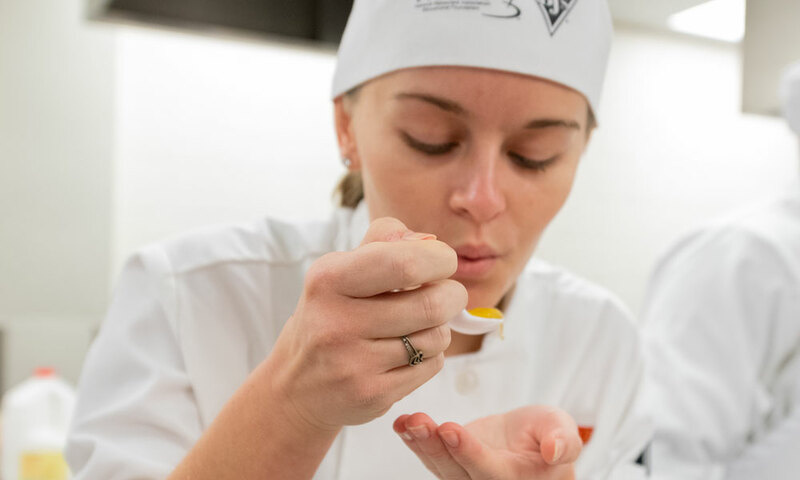 A culinary student samples bananas foster. While rotating between the many Disney restaurants, Bourgoin met a new mentor, Scott Hunnel from Victoria and Albert’s; an eight-time nominee for the James Beard Foundation’s “Best Chef in the South” award. In 1992, he also got the chance to work with the USA Culinary Olympic team—which was led by Keith Keogh, an executive chef at Epcot. The team won the gold medal in international competition in Germany. And in 1993, Bourgoin met the woman he would later marry; while freelancing during the holiday season for a Winter Park caterer. Chef Ken demonstrates technique during a class. His wife, who’d attended the prestigious Culinary Institute of America and had taken photography classes at Daytona State College’s renowned photography program, started her own food styling and food photography business in 1994. The couple married in 1995 and together, they have shared a delicious life—watching as Orlando’s culinary reputation has evolved from that of a theme-park town—“oh, you guys do burgers and hot dogs”—to an up-and-comer in the culinary world. 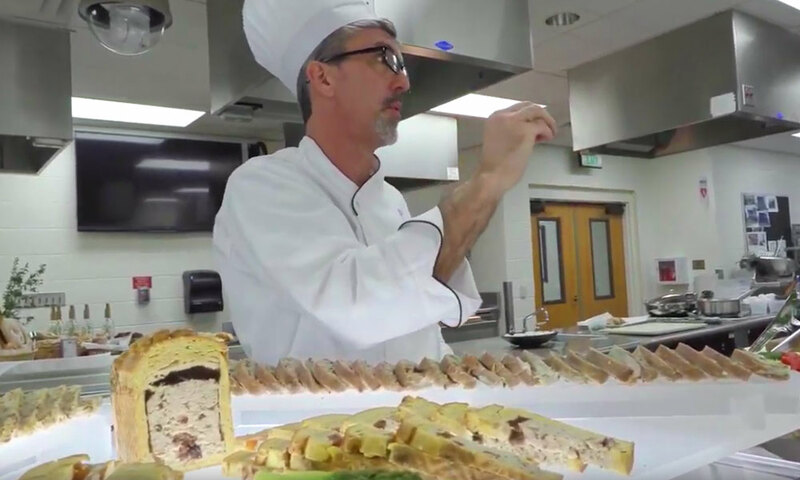 And now that he’s teaching students who want to become chefs, Bourgoin’s determined to expose students to as much talent and training as he can. He has helped mentor young chefs including Camillo Velasco of Norman’s 1921 in Mount Dora and Trina Gregory-Propst of Se7en Bites. His goal? 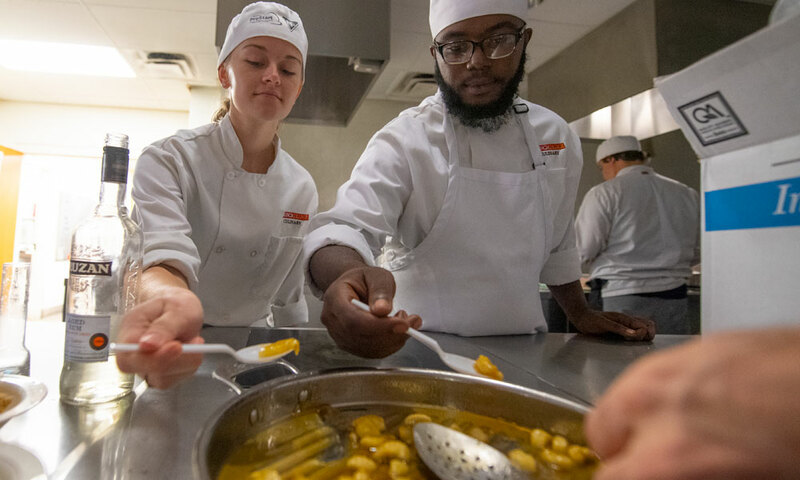 To build a cadre of motivated chefs who want to help set the standard for hospitality—both at Valencia College and in Central Florida. “My goal is to put Orlando on the map for food. It’s not about me; it’s about the talent that’s here. What Food Network shows do you watch? In an era of Food Network and celebrity chefs, what advice do you give incoming students? What do you tell students who want to leave school without a degree? I was the first person in my family to earn a college degree and degrees still open doors, even in the world of professional kitchens. 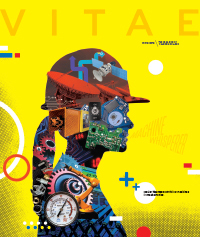 For those who get tired of the kitchens, teaching is an option—if they have a degree. Gingerbread Village created by Valencia College’s Pastry and Baking students. 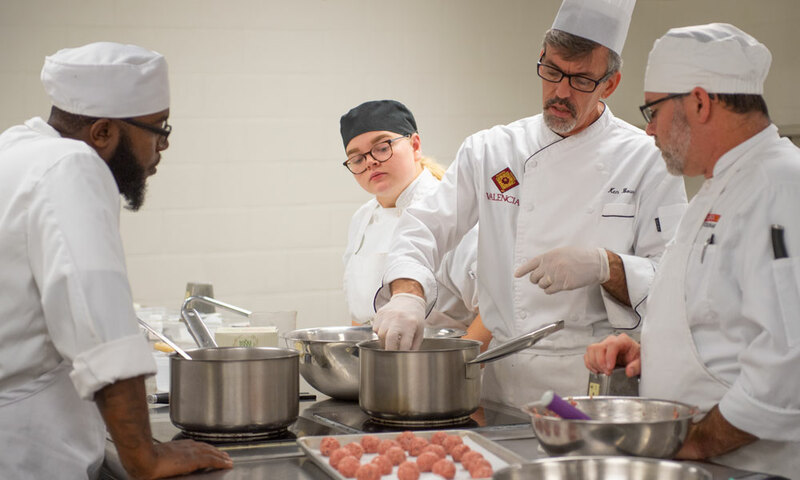 Starting in August 2019, Chef Ken and the culinary and hospitality programs will move to the new downtown campus that Valencia College will share with UCF. 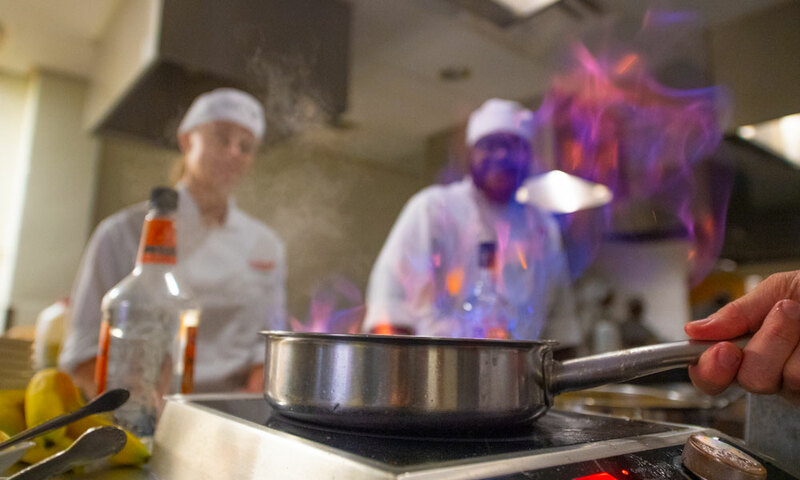 The new School of Culinary Arts and Hospitality will include three culinary kitchens, and three baking/pastry labs, along with a chocolate spraying-room, a mixology lab and a “pop-up” event space—where students will learn to produce cooking videos and TV demonstrations.